Practice those reading skills with the story of "The Three Little Pigs"! 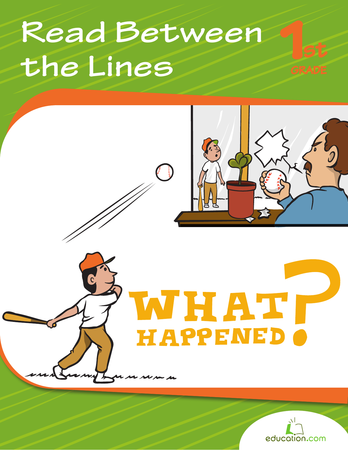 This classic tale provides a great starter for reading comprehension. Read a classic fable with your beginning reader! 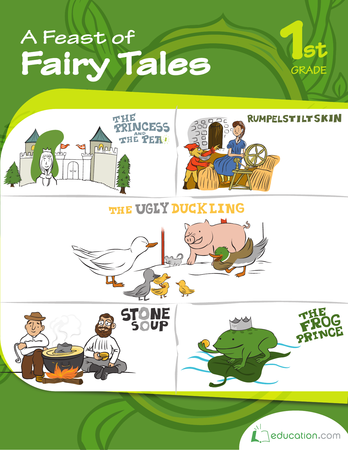 This story page for "The Ugly Duckling" will help build reading skills. 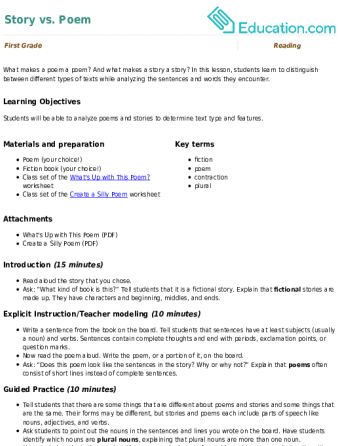 Have your students stretch their creativity with this lesson that teaches them about haikus and has them practice their syllable counting. Take an adventure through the woods with this "Little Red Riding Hood" story, fit for young readers. The Pledge of Allegiance has been recited for years, but how many truly know its meaning? This lesson allows our student citizens a chance to learn and appreciate the pledge, as they understand the meaning behind it. 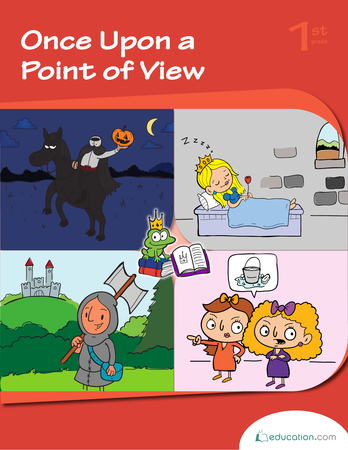 Enjoy the story of "The Princess and the Pea" with your beginning reader. Use this story as a starter for literary activities. 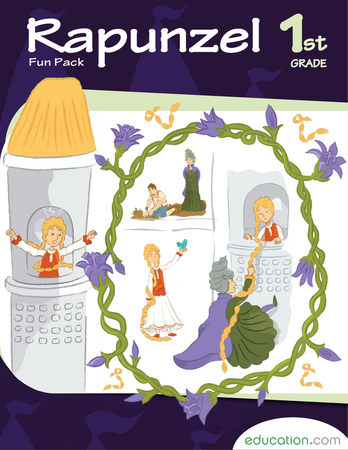 Early readers can share Rapunzel's adventure by exploring mazes, connecting the dots, and making a story map. Read a classic fable, "The Boy Who Cried Wolf", with your young reader. 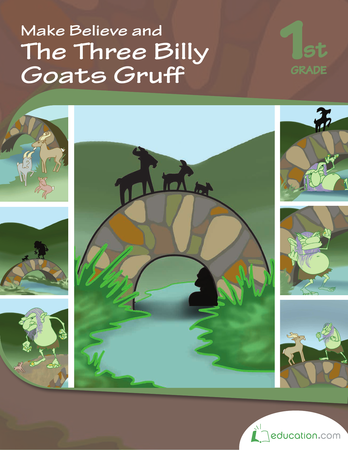 Get reading going with your own Three Billy Goats Gruff story booklet. What do you know about the prince in Sleeping Beauty? Here are four classic stories re-spun for kids, with the focus on supporting characters. Kids zone in on one story by creating their own mini reading book followed up by story sequencing and ideas for more. There's nothing gruff about this workbook! 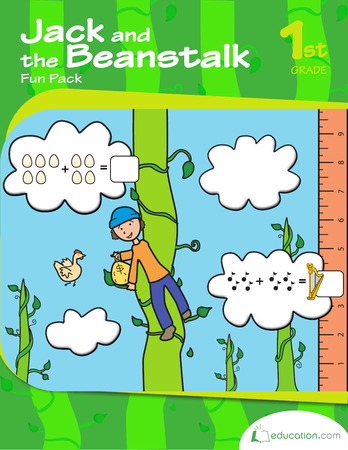 Take your young reader on an adventure in the fairy tale, Jack and the Beanstalk. Color the illustrations and practice reading and counting skills too! As students write stories, encourage them to add dialogue to their writing with this fun worksheet. Students practice both correctly punctuating dialogue and adding details to make their writing pop! 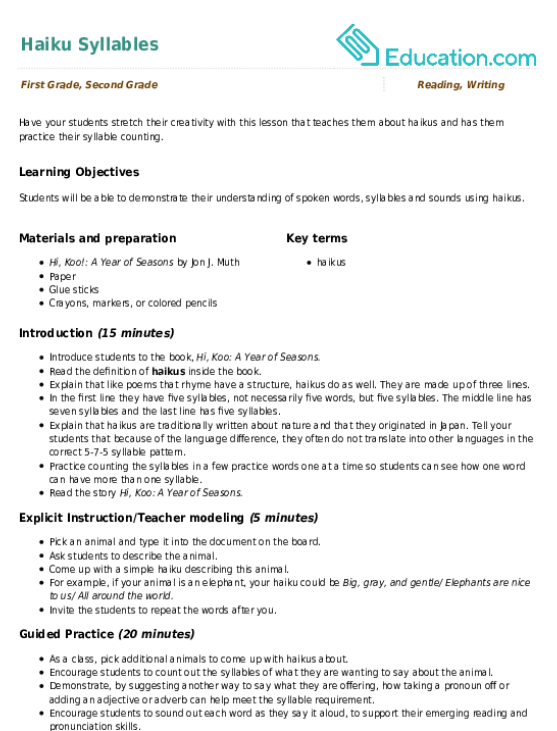 Get mischievous during story time and read the story of "Rumpelstiltskin", abridged for your first grader.